….Because What You Don’t Know Can Hurt You! Our Environmental Supervision systems constantly monitor your home for hazardous situations. 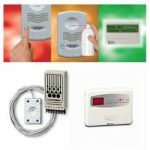 We can monitor everything from water leaks, to temperature levels, to hazardous gas and other environmental factors that may be detrimental to your valuables and the safety of your family. Security Specialists can monitor the presence of water behind dishwashers, water heaters, hot tubs, toilets and washing machines. 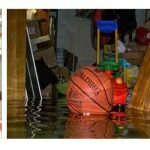 A small leak in the basement can become a big problem if not detected early. By combining sensors with electronic valves installed by your plumbing contractor, we can shut off water sources before serious damage can occur. We can monitor the temperature in your home for a furnace failure or we can supervise the temperature of your wine cellar to be sure your collection of wines is preserved when you’re away. Also through home monitoring, we can monitor the presence of odorless, colorless and deadly Carbon Monoxide in your home.